According to The Sun, Manchester United would agree a £28m deal for Luke Shaw this summer, with the £130k-per-week outcast no longer wanted by manager Jose Mourinho. The two haven’t seen eye-to-eye this season and an exit could be on the cards as a result of Shaw’s lack of playing time. The 22-year-old joined United from Southampton in 2014 and has gone on to make just 63 appearances in all competitions. Shaw has had a bit-part role this season, making just seven starts in the Premier League, as winger Ashley Young has been preferred at left-back. Both players are out of contract in 2019 which will force United into eyeing up replacements this summer, but Shaw could be one player on his way out a year early. The English international has had a public fallout with Mourinho and he’s been tipped to depart Old Trafford as a result. Former club Southampton have been linked with Shaw as a potential replacement for Ryan Bertrand, while Tottenham Hotspur may also be keeping an eye on the United defender should they lose Danny Rose this summer. 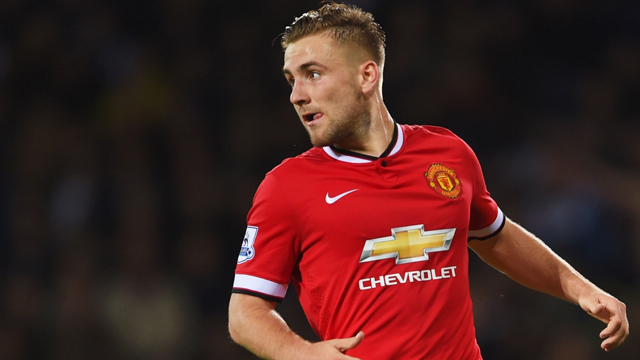 The Red Devils paid £27m for Shaw four years ago and want to recoup their losses if they cash in at the end of the season.